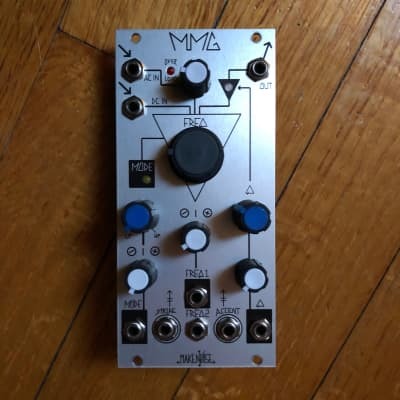 The MMG is a Vactrol based Voltage Controlled Filter and Low Pass Gate using our QMMG core. 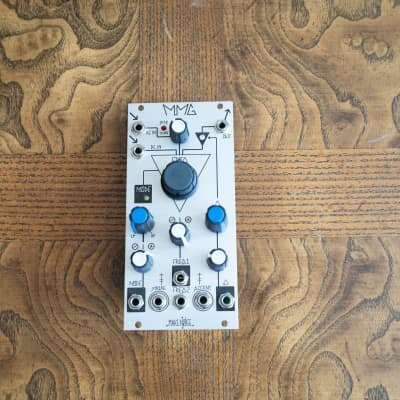 The MMG bridges the Far East and West Coast synthesis styles by allowing for highly resonant acidic squelch and organic, percussive animations to be programmed simultaneously with a single module. The AC coupled Input has an attenuator to adjust signal levels. An un-attenuated DC input is also offered as this was the type of input utilized on the original QMMG. Together these inputs allow for mixing audio signals or combining a control signal with an audio signal to yield asymmetrical behaviors in the circuits that follow. The MODE circuitry allows for smooth Voltage Controlled sweeping between Low Pass and High Pass responses. Voltage Controlled Q Factor yields everything from smooth to aggressively clipped resonances while an Automatic Gain Control circuit keeps signal levels under control at high resonance settings. An ACCENT input is provided for programming X0X style punch and a STRIKE input allows for LPG style bongo plonks (René X and Y gates work well at these inputs). 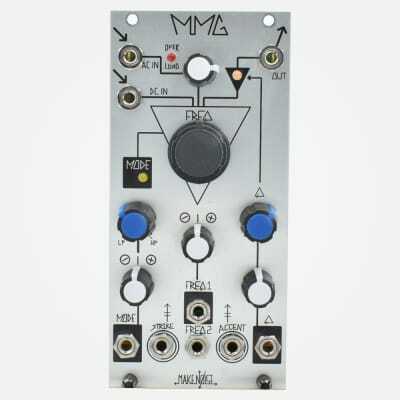 The MMG is a 100% analog filter for musical applications and is not suitable for laboratory use. The MMG utilizes Vactrol based gain cells where voltage control is required. 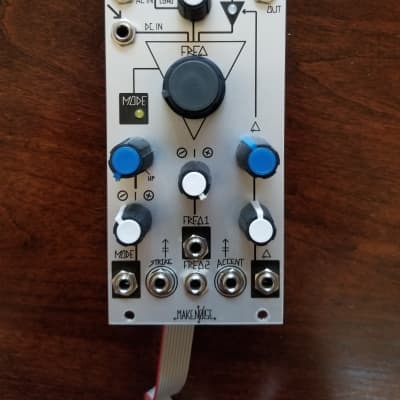 Therefore the MODE, FREQuency and Q controls will all have a unique response that is slower than the typical solid-state filter circuit.